Would you like to start a new career? If you’re considering the decision to work in a new, dynamic place- look no further! We are always looking for passionate people to join our team. 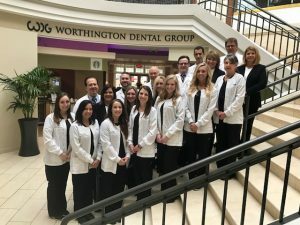 At Worthington Dental Group, we love helping people and we hope you do, too. Please send your resumé, the field of interest, and your preferred availability (from above) to wdgcareers@worthingtondental.com. We’ll be happy to follow-up with you shortly after receiving your information.